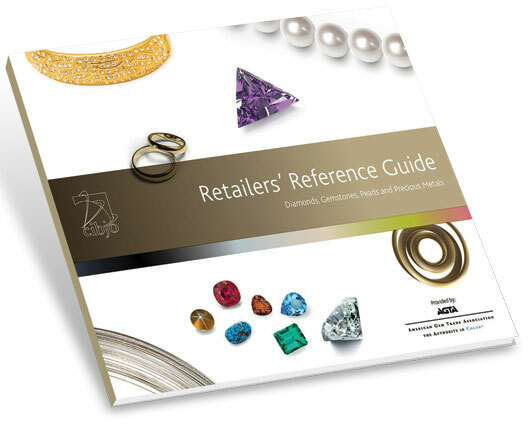 The Retailer’s Reference Guide is landmark in-store resource designed to assist jewellery retailers sell their products more effectively. Developed by the Marketing and Education Commission of CIBJO, it provides a comprehensive understanding of the fundamental elements of diamonds, gemstones, pearls and precious metals, including practical handouts, which can empower shop floor staff with the information they need for customers. To buy and download the pdf of the RRG please click on the button below. A printed copy of he Retailer’s Reference Guide can be ordered for US$ 50 from the American Gem Trade Association (AGTA). * Members of organisations that are members of CIBJO are entitled to receive the digital version of the Retailer’s Refernce Guide free of charge. They are recommended to contact the organisations of which they are members to arrange delivery of the documents by email.